Premier Li called on local authorities to make the best use of flood control facilities and prepare for further downpours along the Yangtze and Huaihe rivers. 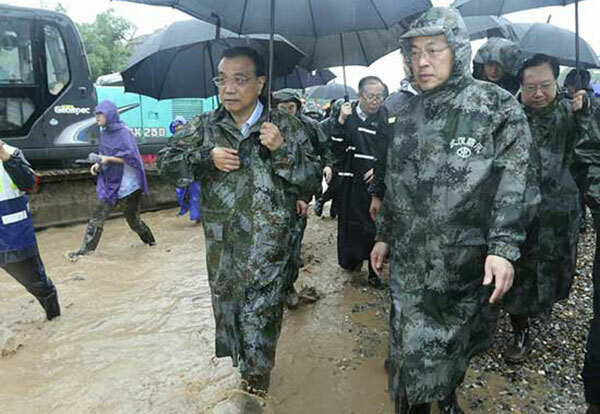 Premier Li made a non-stop visit to three cities across three provinces to inspect flood control and rescue and relief work. Premier Li visited flooded areas in Anhui ,Hunan and Hubei provinces on July 5 and July 6, checking flood control facilities and disaster prevention work . Premier Li urged intensifying flood control and disaster relief work during a work conference for flood prevention.